Joanna Trollope tells us about her bestselling latest novel City of Friends, which is out in paperback now. Number one bestselling author Joanna Trollope tells us about her new novel City of Friends, which is out in paperback now. Tell us about your new novel, City of Friends. City of Friends is both contemporary and topical. It’s a novel about women, women in the workplace and it’s about friendship and family. I wanted to write a story that looked at all aspects of women’s personal and professional lives. The novel hinges on the friendship between four protagonists, Stacey, Melissa, Gaby and Beth. Four university friends, all working in different aspects of the finance industry, all in their late forties and all in very different personal situations. Through these characters, I look at marriage with children and marriage without children. I look at single parenthood, I look at being gay and the relationships attached to being gay in the modern world, I look at women fighting to succeed in a very crowded and male-dominated industry. In fact I’m trying to look at every aspect of what it means to be a woman and a working woman in modern life. What do you value the most about your closest friendships? I think that what I value most in close friends are, oddly, complete opposites. I love it when people are absolutely in tune with me, but I also love it when people I like and admire, and who seem to feel the same about me, have completely different views and tastes. I suppose that what I value most is a deep respect for someone else’s mind and opinions. And principles. I really mind about those - the principles. There’s a dual aspect of friendship. There are the friends you’ve had since the dawn of time and there are the friends you go on making all your life. And that is a very important aspect of friendship, that you’re always renewing it. I think forgiveness is an extremely important part of friendship. There are some disloyalties you can forgive, and some that really are deal breakers. I try and look at all these aspects in this novel. To celebrate the paperback publication of City of Friends, Joanna Trollope, Bloom & Wild and Whittard of Chelsea have teamed up to celebrate female friendship. Find out how you can nominate your most supportive and inspiring friend to win a special gift (plus one for yourself too!) here. 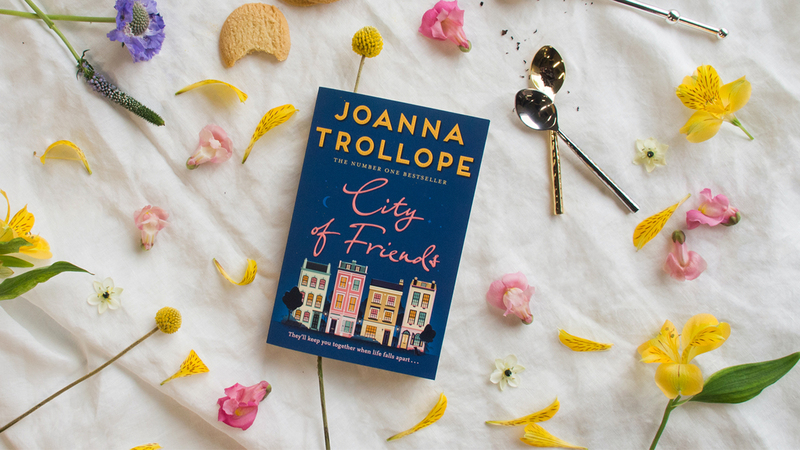 City of Friends is a celebration of female friendship and starting again from number one bestselling author, Joanna Trollope.